Learning spaces, hospitals and offices. 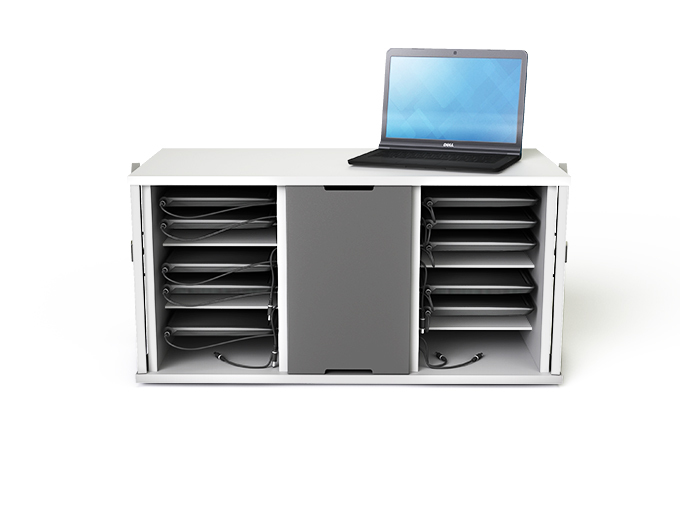 A compact, robust, simple to use charging cabinet for 16 Chromebooks, tablets and most laptops up to 14″ screen sizes (but please check Specifications for maximum device dimensions before ordering). 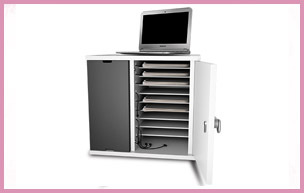 Separate AC power adapter and cable storage, with only a short length of power cable presented to each device shelf – so no cable mess, no adapters to carry around and no cables going missing! 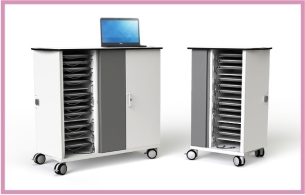 Two independently lockable doors each housing 8 device shelves, separated by a secured but front accessible electrical compartment. 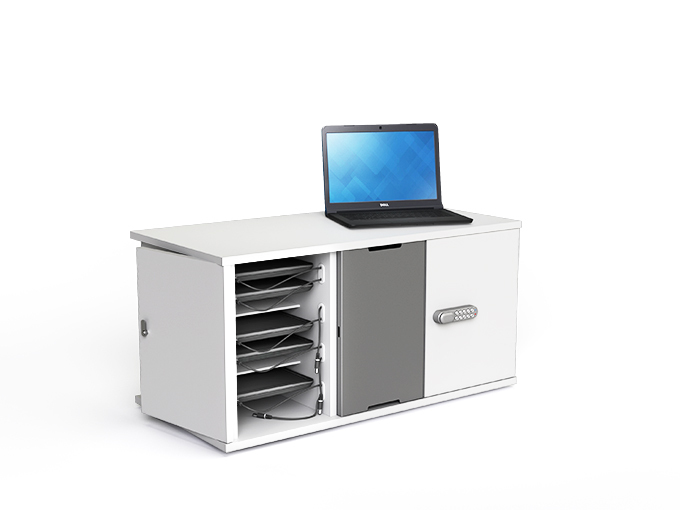 All cabinets / stations have the choice of digital code, RFID or key locks. Lockable doors fold back 270 degrees & are retained for easy access. Smooth, easy to clean surfaces. Soft start power management fitted as standard.